Welcome one and all to The Converse Blog's Friday Flashback. 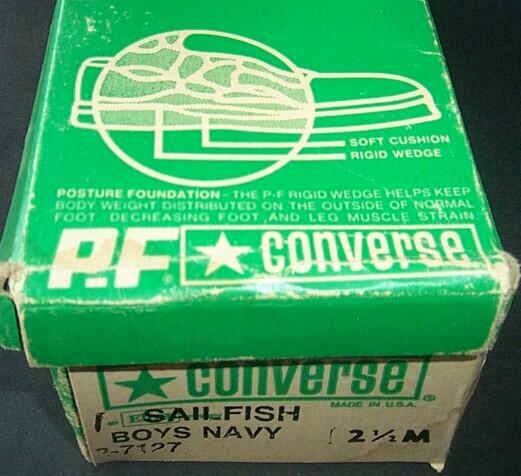 Today I'm bringing you the the Converse PF Flyers Sail Fish boys shoes....do what? You may know PF Flyers as a New Balance affiliate brand these days, but it was once owned by Converse. Converse bought the Goodrich athletic brands in 1971, which included PF Flyers. Later on Converse sold off the brand at the "request" of the Department of Justice, who complained they were monopolizing the sneaker market of that day. 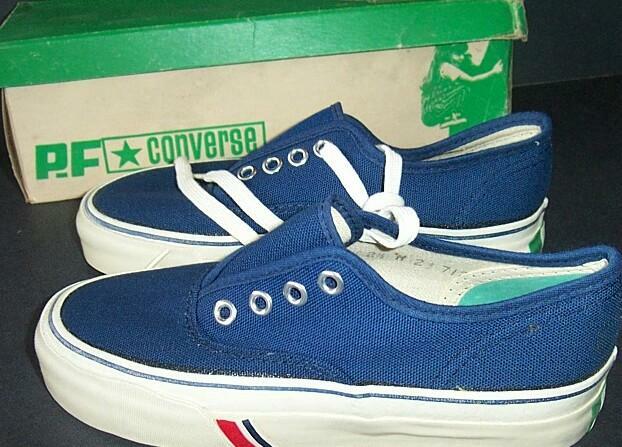 So for a short time some Converse shoes also carried the PF, or Posture Foundation, name. Below is one of them, the Sail Fish. You'll notice the triangles that came from BF Goodrich's Jack Purcell shoe, which I'm sure you've heard of. 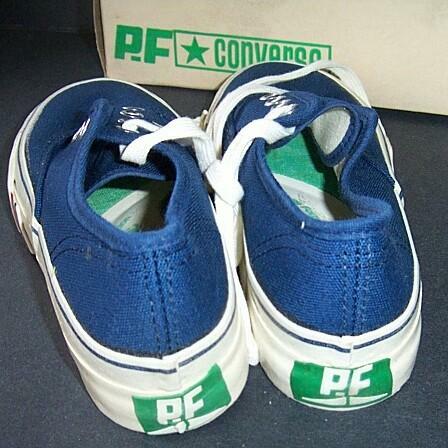 Converse was able to keep the Jack Purcell shoe and logo after the sell of PF Flyers.